Our two triple standard rooms with traditional furnishings feature 3 single beds or one double bed and a single bed, bathroom with shower. 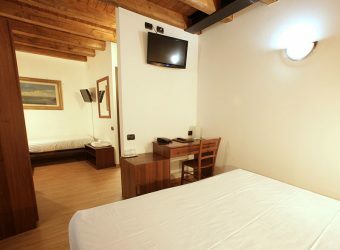 One of the rooms is made up of an adjoining double room with a single room. This room is on the top floor and is accessible only by stairs.